A website is no longer an option when you have a business. Customers expect that a company has a presence on the Internet. Creating a website without careful consideration can be just as bad as not having a site at all. Consider these ten factors if your website doesn’t seem to be as effective as you’d hoped. Tablet and mobile phone use combined is higher than desktop users, which shouldn’t be a surprise. The world continues to be more mobile as everyone wants to be on the go with access to information. Ensure your site is mobile-friendly to appear higher in search engines and give your visitors a positive experience. Don’t put too many technical terms on your site. It’s confusing and drives customers away. Use basic words and sentence structure to appeal to visitors. Give your visitors something to do when they visit. If there isn’t anything substantial to answer their questions, you won’t get a very high conversion rate. Keep your content fresh and new to encourage new visitors to engage and keep current customers coming back. Make it easy to find information customers need such as your address, hours of operation, and phone number. They shouldn’t have to go searching around for it. Don’t forget to add links to your social media. Don’t bog down your site with plugins. People don’t like to wait for things to load. Your website needs to load in approximately two seconds to encourage maximum satisfaction and ensure that customers engage and return. What do you want people to do when they visit? Put that information there. Do you want them to call about a quote? Make the information stand out from the rest of the site and get visitors to utilize the content. Keep your website up-to-date. Keep it compatible with major browsers and operating systems. Add new content regularly. 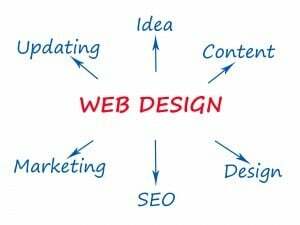 Consider hiring a website designer to do a complete re-design. A page with too much content, especially packed together, is a recipe for disaster. It’s cluttered and makes it hard for visitors to find what they need. Avoid too many ads, flashy text, or bright colors. Always verify that your shopping cart platform works to allow customers to buy goods and services. Use a platform with excellent customer support for no to minimal downtime. Guide users to different parts of your site that are relevant to their needs, not just the homepage. The content matters even more. Create specific landing pages to appeal to your customers.